I have talked about price as the most important consideration in the purchase of a property and of course that does set pretty significant limitations, but let’s leave price out of the equation for the moment. Every homebuyer has their own criteria on what the perfect house would be and no two homes or choices will be the same. 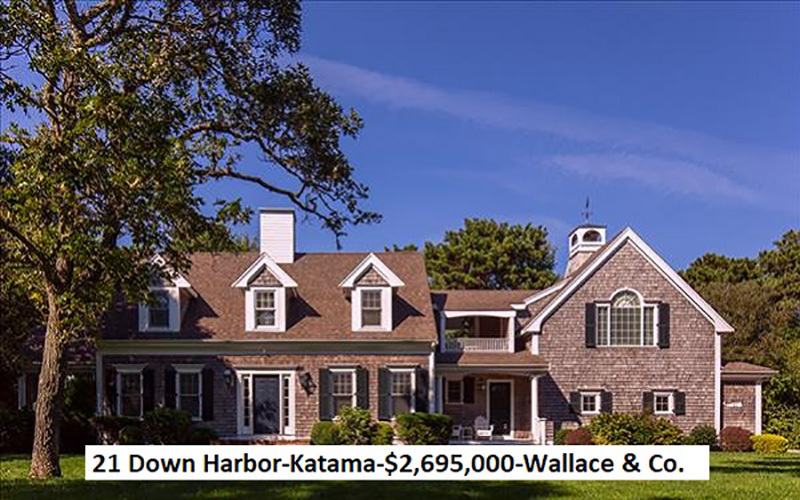 Finding your home is a very individual choice and location should — and does — rank high in the list of amenities, whether it be village living in a down-Island town or the seclusion and privacy of an up-Island waterfront estate. The down-Island towns satisfy other location objectives. 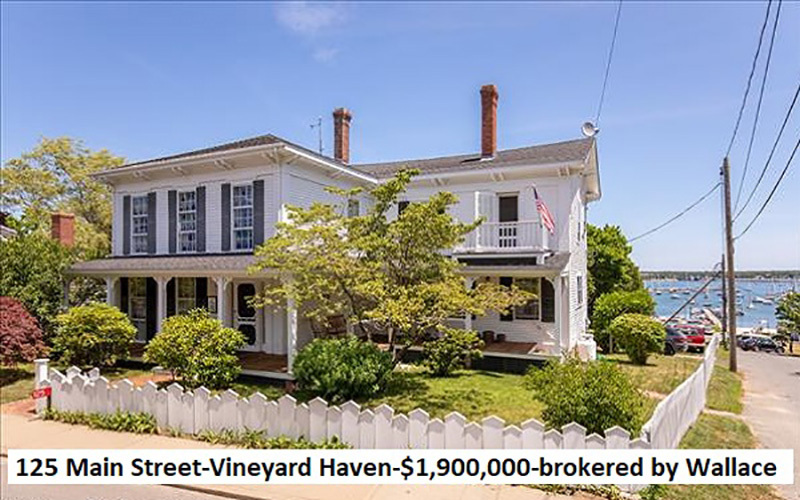 In addition to the best waterfront and harbor view real estate values, the year-round community of Vineyard Haven boasts well regarded restaurants, live and video theater, plus an array of shops catering to the tastes of any visitor. Oak Bluffs is home to some of the best restaurants on the Vineyard, multiple bars and amusements, including the Flying Horses carousel and of course the 1800s Victorian Cottages in the Campground. The ocean views from East Chop or across Ocean Park are some of the most prized on the Vineyard. 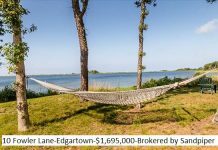 And then there is Edgartown. 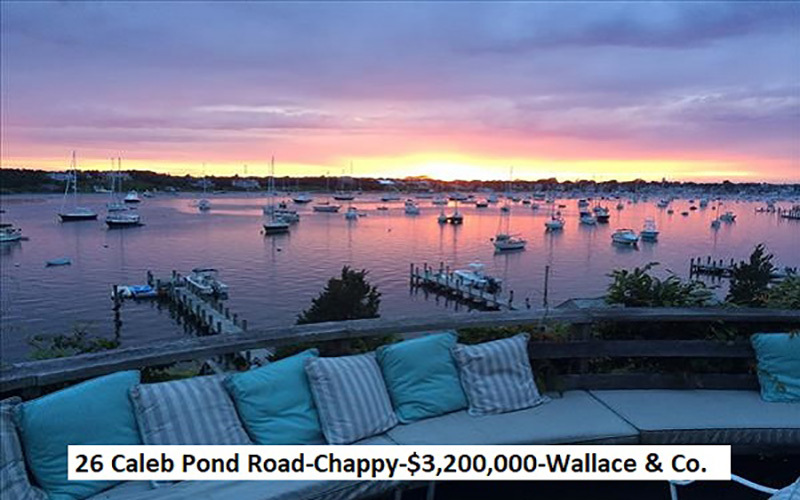 For many buyers, being in the center of the Island sailing community with its upscale dining, yacht club, and long stretches of antique whaling captain’s homes is the pinnacle of luxury living. 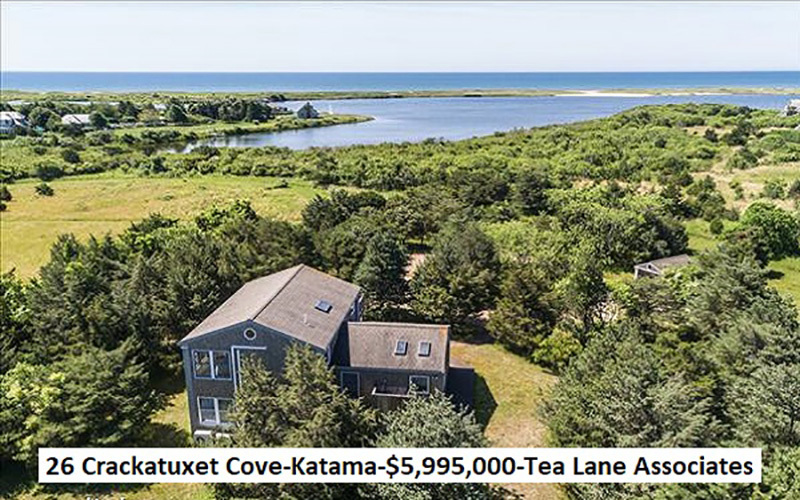 For others, the Katama area with its opportunities for every manner of oceanfront activities and still close to the village is the ultimate. 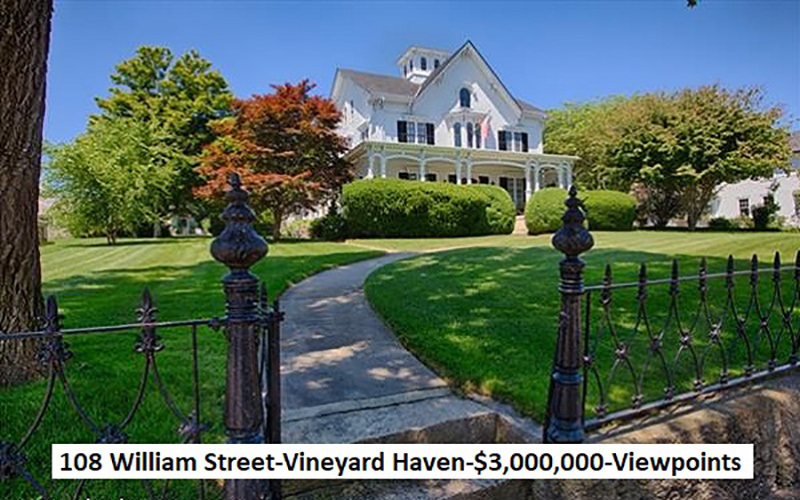 The perfect combination of location choices exists in the property at 125 Main Street in downtown Vineyard Haven. 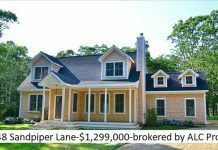 It has the luxury of unobstructed views of Vineyard Haven Harbor with all the advantages of an in-town location: walk to shopping, movies, restaurants, take an evening stroll for ice cream or visit nearby Owen Park with the kids and family dog, or sit and watch the world float by. Although I have never lived within walking distance of Alley’s, I pass by the homes facing Mill Pond at the foot of Old County Road and can only imagine the peacefulness of the location. The charming 1850 cottage at 703 Old County Road is just such a spot. 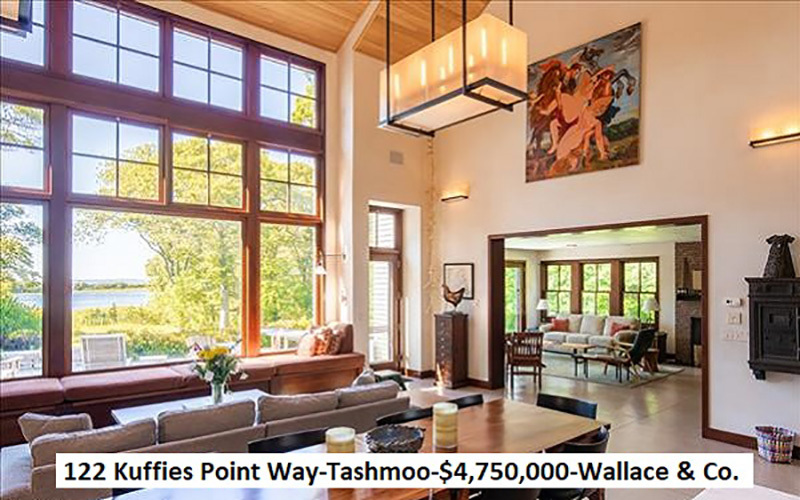 You can walk to multiple Sunday art openings, make use of the many nearby hiking trails including Sepiessa, enjoy the proximity of Long Point Beach or the definite West Tisbury “perk” of Lambert’s Cove Beach, among the most beloved beaches on the Vineyard. When it comes to location, for many buyers, the ultimate is the historic charm of an 1830s captain’s house renovated to modern standards. 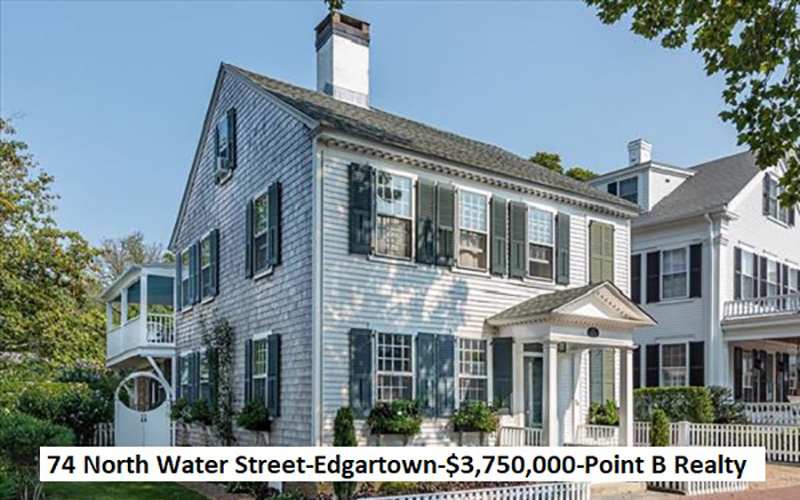 The antique gem at 74 North Water Street in Edgartown is the pinnacle of this ideal. Every aspect of the house and property speaks luxury, and the location only adds to the appeal. 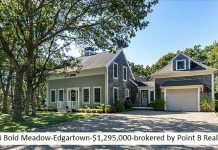 The owner can sit on the covered porch and watch all the activity of Edgartown Harbor, walk to some of the Island’s top restaurants, take an evening stroll to the lighthouse plus have all the advantages offered by village living. 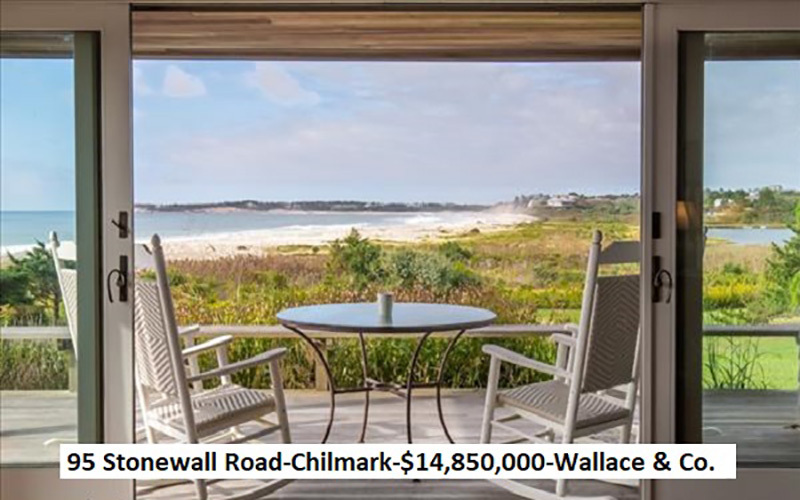 The farthest you can get from the in-town living of other Island homes is the magical location overlooking the Atlantic Ocean at 95 Stonewall Road in Chilmark on Stonewall Beach. The views are without comparison as you watch the ocean, which changes moment to moment. The main house offers a gourmet kitchen, and the guest house has all the character of old Vineyard charm. This location offers swimming, sunning, kayaking and surfing. Plus the advantages of up-Island living on a 4-acre seaside retreat within easy access to breakfast at the Cliffs, Chilmark Chocolates for that last minute house gift, sunset in Menemsha while snacking on fresh seafood, plus Lucy Vincent and Squibby if you tire of your own beach. View a complete list here of my current location favorites.